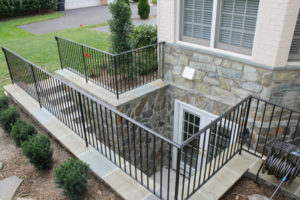 Egress walkout contractor Northern Virginia is Fairfax Contractor. Fairfax Contractor can build a basement egress walk out for your Northern Virginia home. Building an egress walkout from your basement is a very difficult project. But Fairfax Contractor has the workers to complete a egress basement walkout.